Coleman is a recognized higher education leader at the national level. President Obama selected her as one of six university presidents to help launch the Advanced Manufacturing Partnership, a national effort bringing together industry, universities and the federal government. In 2010, U.S. Commerce Secretary Gary Locke named her co-chair of the National Advisory Council on Innovation and Entrepreneurship. Coleman is regarded as a national spokesperson on the educational value of diverse perspectives in the classroom. Her extensive leadership positions in higher education have included membership on the National Collegiate Athletic Association Board of Directors and the Knight Commission on Intercollegiate Athletics. She is the immediate past chair of the Association of American Universities, and chaired the Internet2 Board of Trustees. Elected to the Institute of Medicine, she also is a Fellow of the American Association for the Advancement of Science and of the American Academy of Arts and Sciences. She previously was president of the University of Iowa. 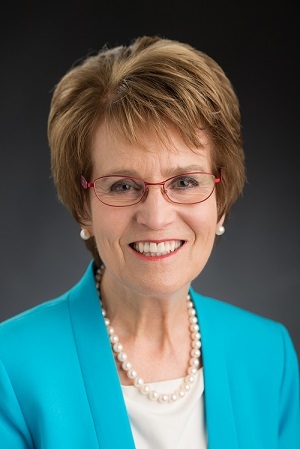 Coleman was former president of the University of Iowa and is an alumna of the 1961 Science Talent Search and the 1959 and 1960 International Science & Engineering Fair. Dr. Coleman joined the Society's Board of Trustees in 2013.